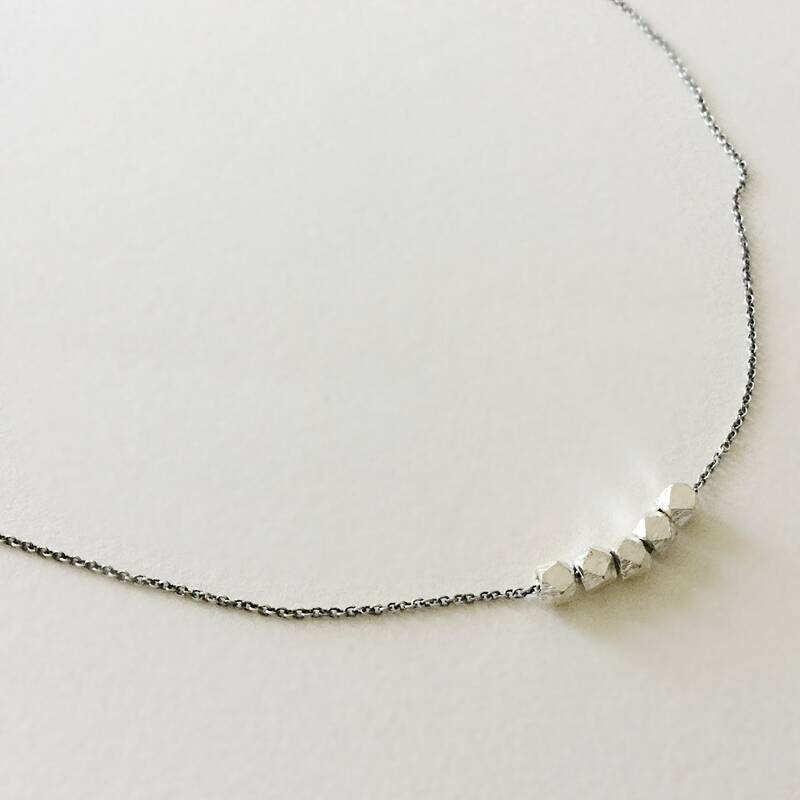 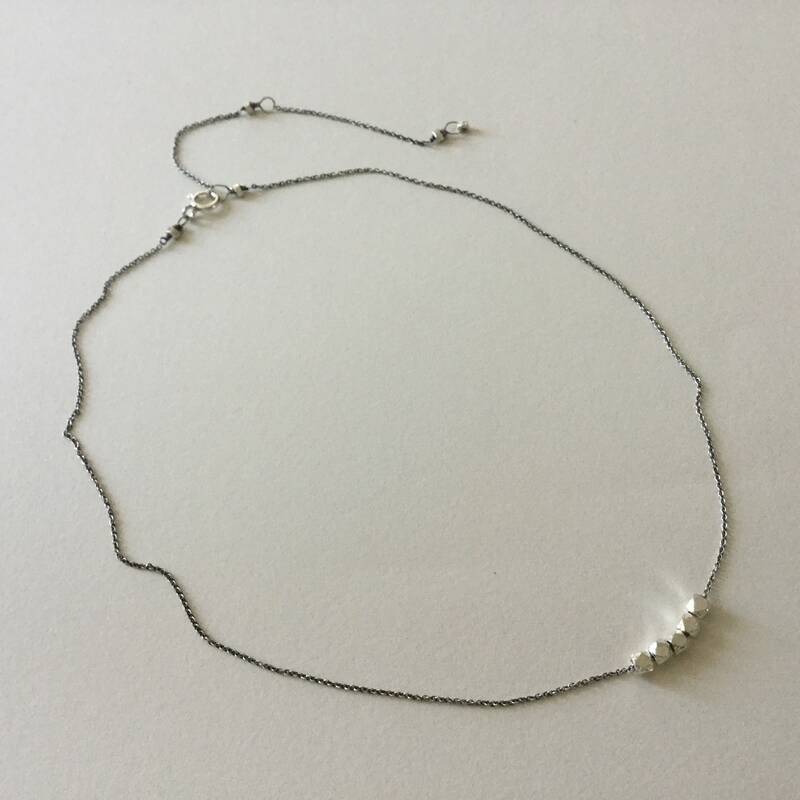 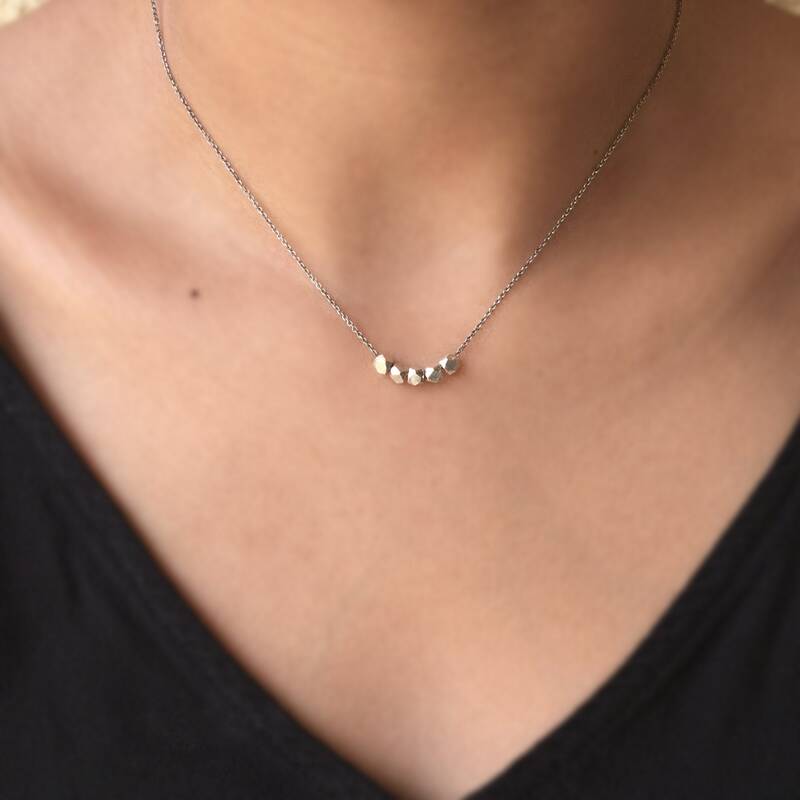 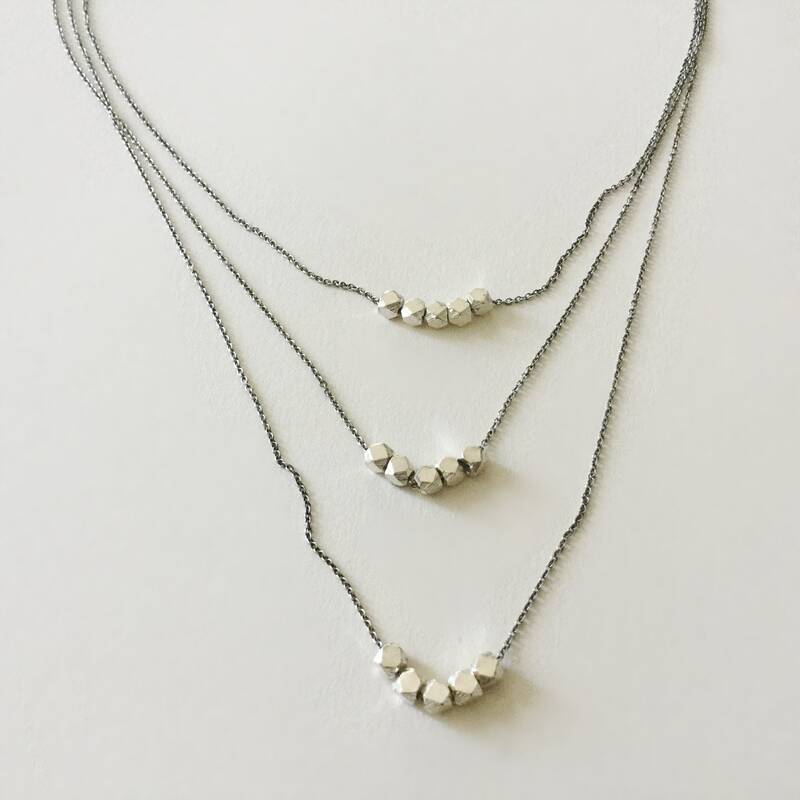 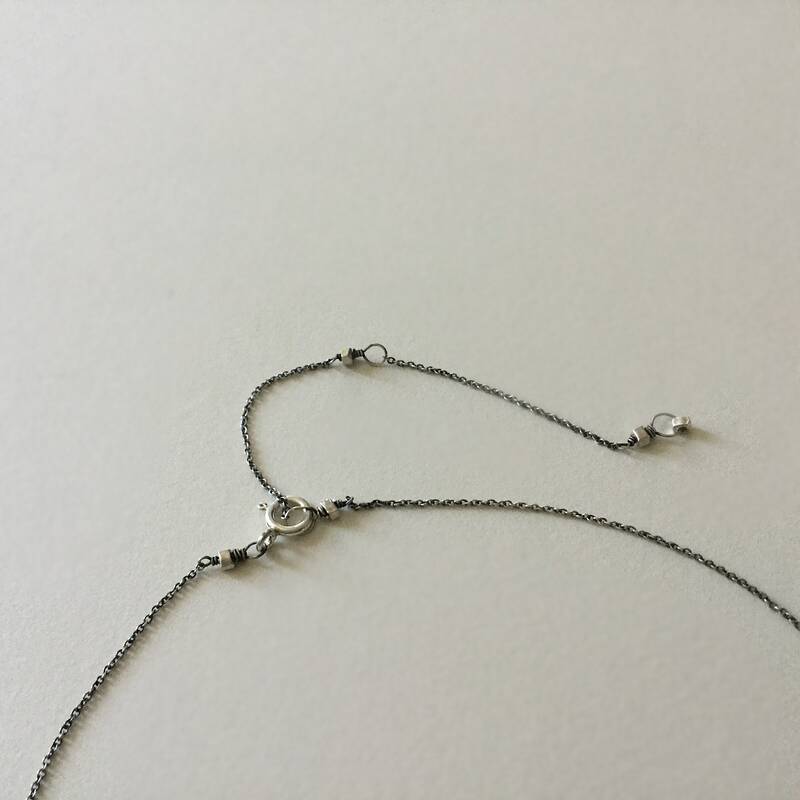 Beautiful little Necklace with 5 solid Hill Tribe silver beads on a skinny Sterling silver chain. 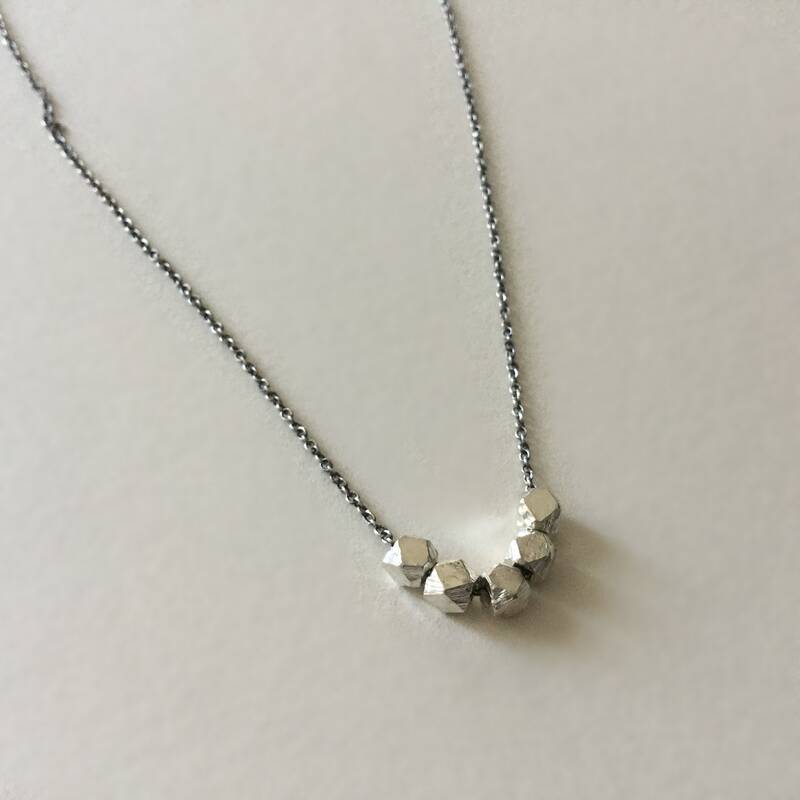 The necklace has 3 adjustable lengths and the beads slide on the chain. 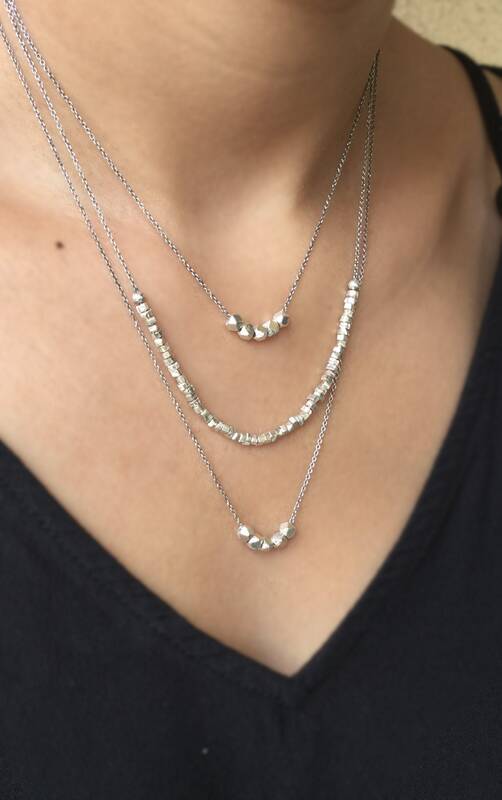 Love this piece for everyday, also great for layering. 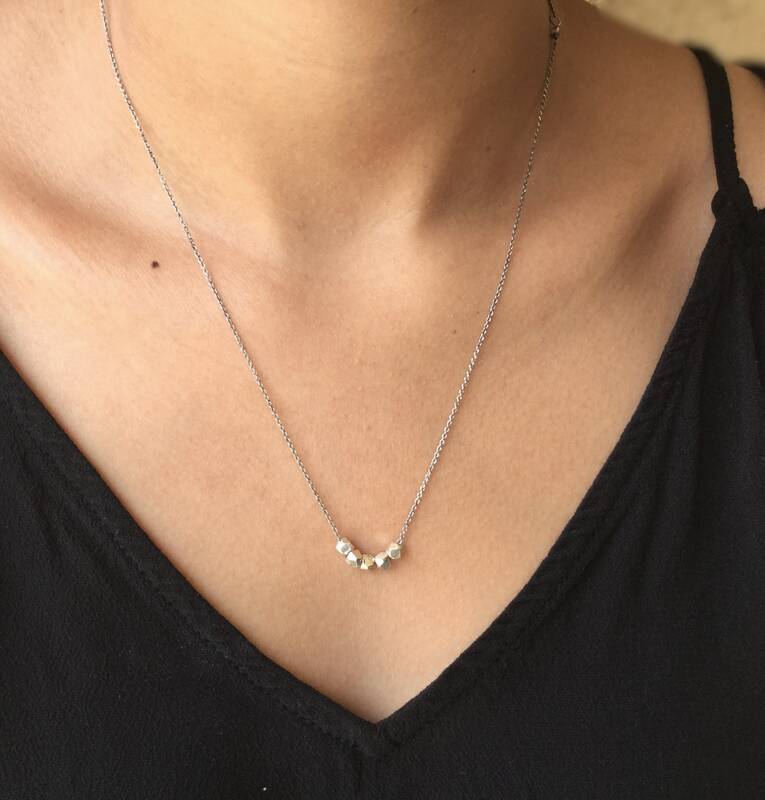 It can be worn with 16, 18 and 20 inch length.